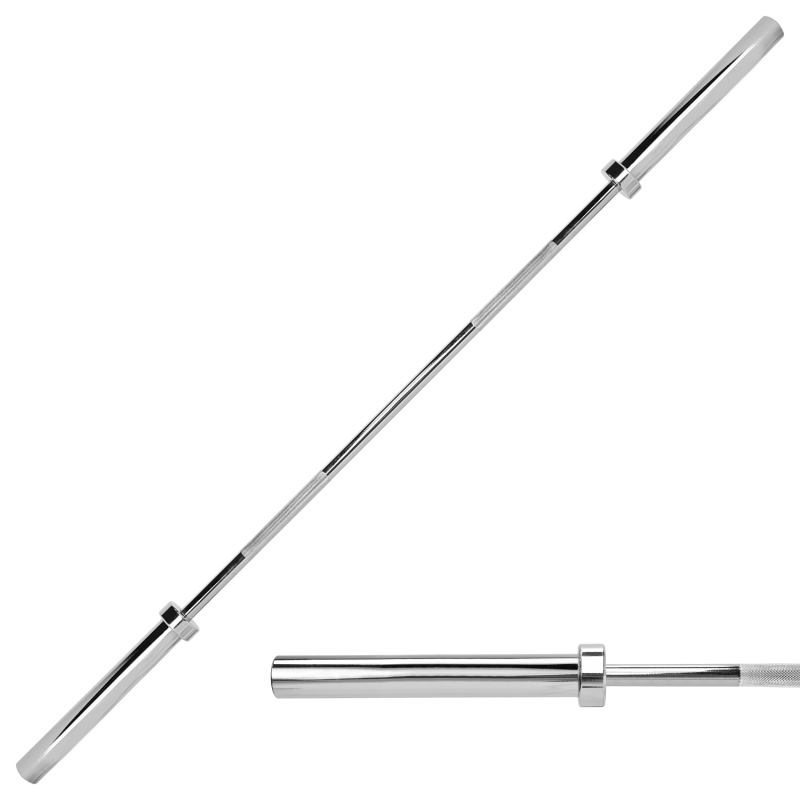 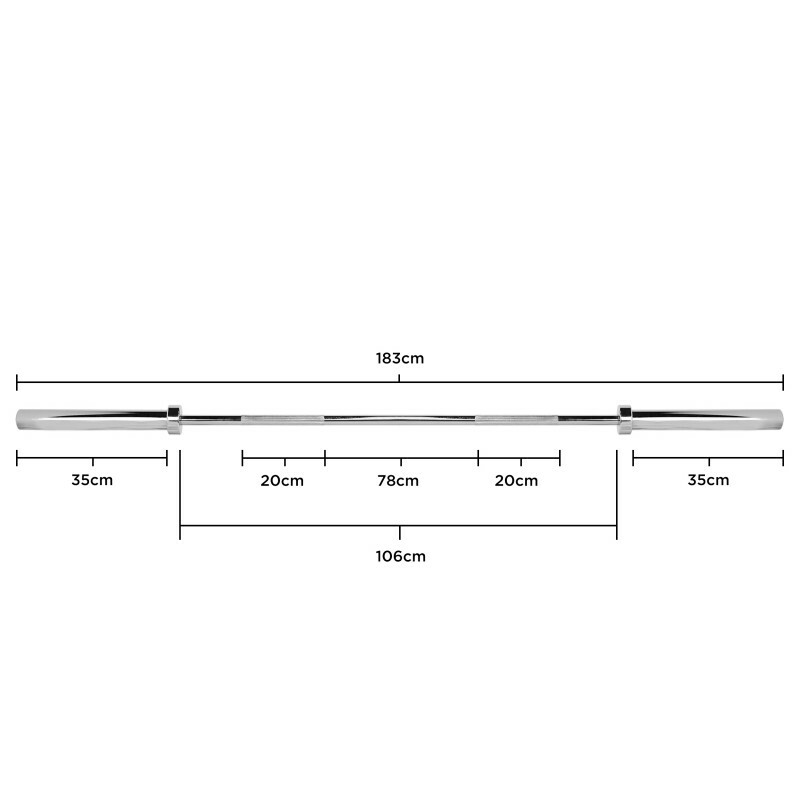 The JLL 6ft 2” Olympic Weight Lifting Bar is chrome plated, solid steel construction with knurled handles for an enhanced grip. 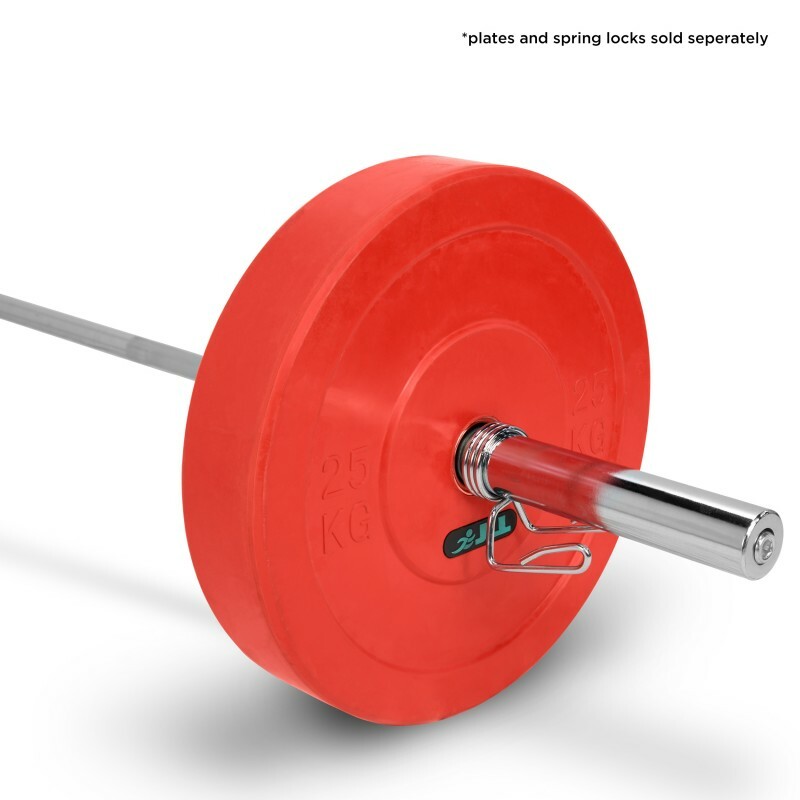 It has a weight of 12.6 kg. 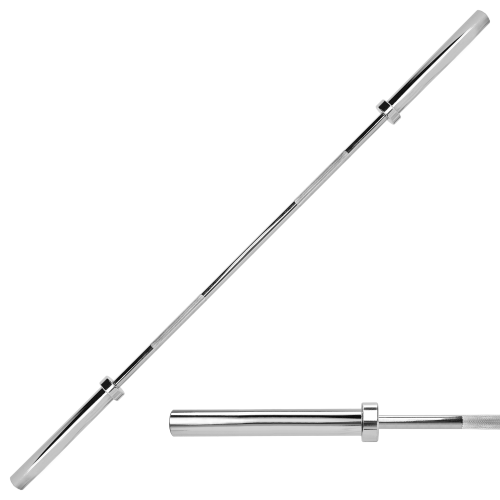 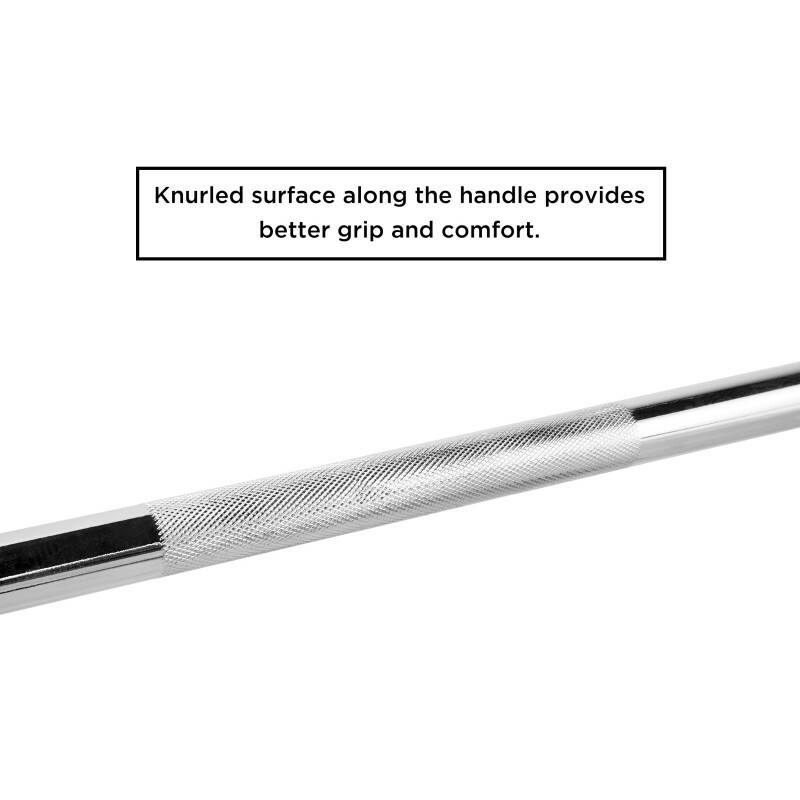 The JLL 6ft Olympic Weight Lifting Bar offers a knurled surface for added comfort and grip even with sweaty hands. 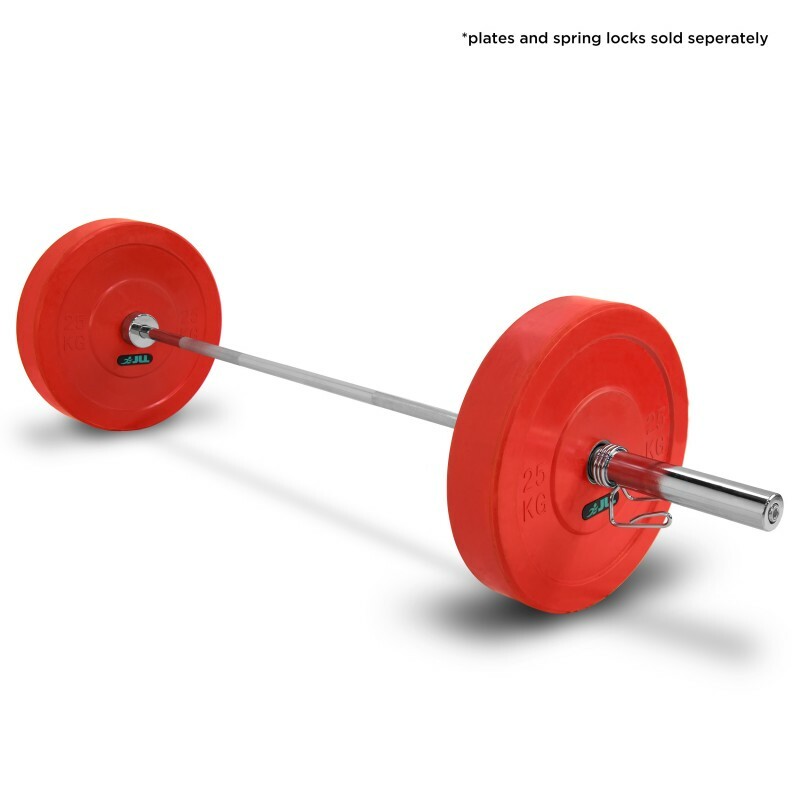 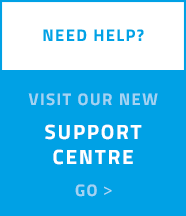 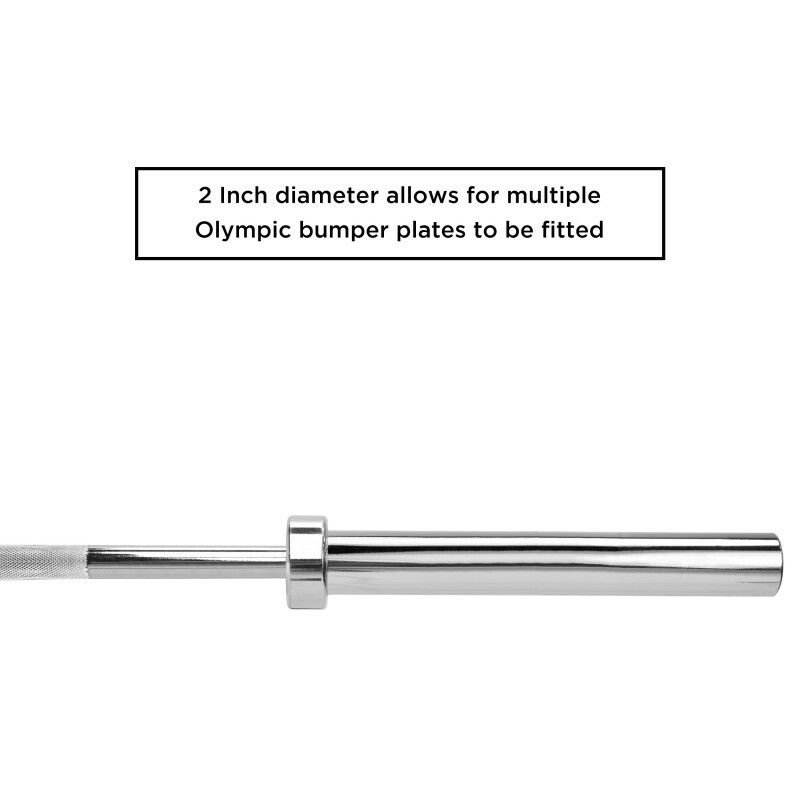 The barbell is designed to be used with the ‘standard’ olympic weight plates with a 2 inch diameter hole.